I'm pretty terrible at grocery shopping lately because who wants to drag a baby in a car seat to the grocery store? So I was like, "Hey! I'll order a bunch of pantry staples off Amazon! It's like the store coming to my door!" I ordered chicken stock and canned tomatoes because those were the only non-refrigerator things that I could think of that we use regularly (I have since remembered we also go through a lot of coconut milk). I've heard that San Marzano tomatoes are like the creme de la creme of tomatoes so I found a listing and added them to my cart. It kind of seemed like the listing was for a single $10 can of tomatoes but I knew that couldn't be right. Who pays $10 for ONE CAN of tomatoes? "It must be $10 for a case of like...4-6 or something," I told myself. I paid $10 for a single can of tomatoes. So last night we invited some friends over for pizza and I triumphantly presented pizza sauce made with $10 tomatoes fully expecting that we would all be completely blown away by the amazingness of the sauce. I'm sure you will be shocked to hear that $10 tomatoes taste basically the same as $1 tomatoes. I can now carry on with my life secure in my cheap canned tomato choices. Also, I love your warning to trolls. Bravo! I've also heard how wonderful they are and wondered myself. Now I guess I won't bother. Wow, thanks for letting us know we are secure in our tomato choices! bahahahaha, what? So crazy! Love that you'll always remember that pizza party for that story, though! 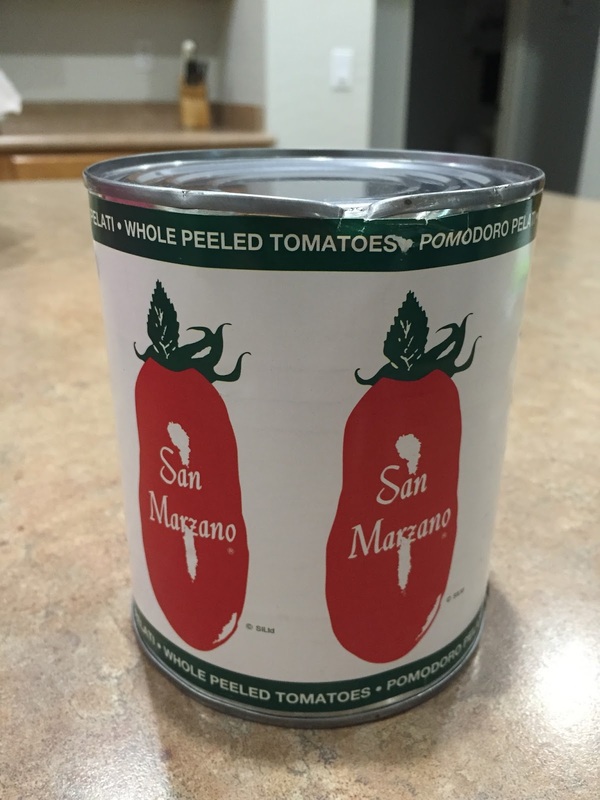 The costco by our house in ohio sold san marzano tomatoes. That made them much cheaper and we always used them. They were really good for what it's worth.